Blanche：LPA is a lighting design firm. The works mainly focuses on design rather than art. What do you think about design and art? Mende： Good question! But I’d like to ask you before my correct answer, Blanche. Blanche：I studied both art and design before. Art could be explained through personal emotion or convey the message to visitor/ audience. Each artwork has its own story. For design, depends on user or purpose or different situation to improve and change. How about you, what do you think about art or artist? Mende： Artist is a great career. I like art but I decided not to be an artist. Artists are more isolated spiritually. Recently, there are many people saying that designers should be much closer to artist and artist might learn many things from designer. But I don’t think so. We should be inspired by each other. 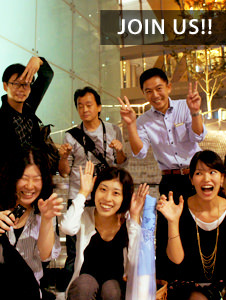 However, artist doesn’t need to think about the neighborhood or others happiness. Just express their feeling or passion. But the designer always think somebody else happiness. Blanche： How about “lighting art”? Mende：I’m not familiar with this word “lighting art”, usually I would say light art. I know James Turrell and Olafur Eliasson, great artist who manipulate light as material. You cannot forget those two artists. I respect their works very much. 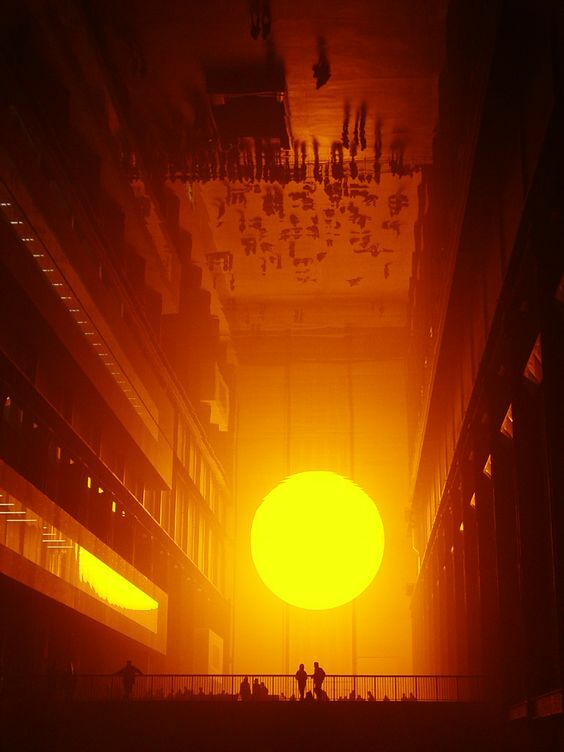 Olafur Eliasson had an exhibition in London that is huge artificial sunlight. They cannot be compared with architectural lighting designers. Blanche：Some designers collaborate with other brands to make the product or do some work together. Any plan for you to collaborate with other artists or brands to do some work? Or have you been invited to join their collaboration? Mende： I can’t remember the particular proposal but we collaborated with Olafur Eliasson’s design team for the project designed by Toyo Ito in Singapore. We shared the same space. They put their light objects like some visible objects. 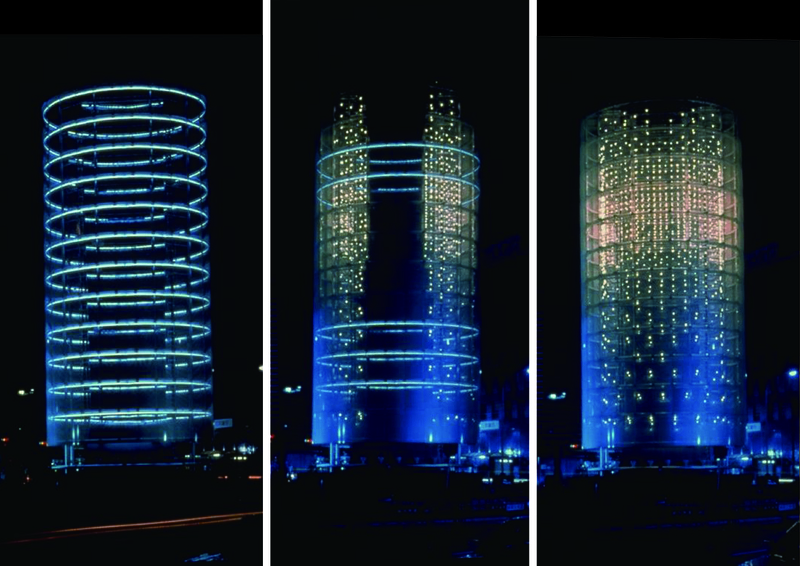 We emphasized their art works by architectural lighting design techniques. I remember that I collaborated with a musician 25 years ago. To me it was much more close to light art. That was completely not design. We did a sound and lighting performance in the old subway stations. People liked this kind of special underground environment that was transformed into a new innovated museum. This performance was named “Museum in Metro”. They asked me and German artists some questions, and we had a talk. We published in the same platform and same corridor. It was fun. Are you still interested to be an artist? Blanche： I can’t say it specifically. But I will not refuse to be an artist, everything is possible. For design, you need to find a suitable solution for the user or serve a purpose, which like solving a puzzle. For art, it could express the artist’s feelings. Those are quite different. If I have chance, I would like to try both. Mende： I think artistic performance is quite fun for everybody because it is very free, no rules. Blanche：Even the visitor/ audience might not understand, they would guess what the artist is trying to say through their own thinking. This is communication in the art. The reason why I would like to discuss this topic with you because “light” is something visible yet intangible. For this untouchable art, it is fascinating. The creative space will be much larger than the sculpture or painting. Light also can illuminate other material such as the water and mist. It would become another type of art work. There is a special installation of curtain wall next to the Marina Bay Sands Hotel in Singapore. It uses small reflective panels to show the pattern of wind. In other words, you may call it art, because you can see it but the moment of the moving wind patterns cannot be maintained. Mende：It is the design of lower part of the façade in Marina Bay Sands Hotel. OK, I see. I can tell you that lighting designer should be have some sense of freedom for artistic. I would like to tell you that LPA projects sometimes are much more artistic. “Tower of wind” is one of the artistic projects we did. It was just marvelous. We put some small sensors to detect wind intensity and direction. The data is then sent into computer and transformed to be a sparkling effect and up-lighting. This was done by collaboration with architect Toyo Ito. He did great job. Blanche：How do you convince the client to accept this kind of special idea? Mende：They like it. We don’t need to explain the reason for successful project by the artistic things. This is art, right? For music, when you are there, it’s like Wow!!!! What an amazing rhythm. Nobody can ask you why. Blanche： As we know you are teaching lighting design at university. How to teach the student to find the suitable balance between artistic and design? Mende： Usually, students prefer to be more like an artist rather than a designer. It seems to be much freer. Back to the question, it is simple. I don’t like just to teach technical things, lux such as calculation. They can study that from the textbook by themselves. What’s more important is how to perceive the light. There are many people who have a good perception. A Lighting designer should have a good sense to feel the beautiful light and shadow. We have to improve ourselves how to feel the five senses. Since the light cannot be touched, as well as sound or smell. For those metaphysical designers should have a good sense. The sense of aesthetics could be improved by daily training. 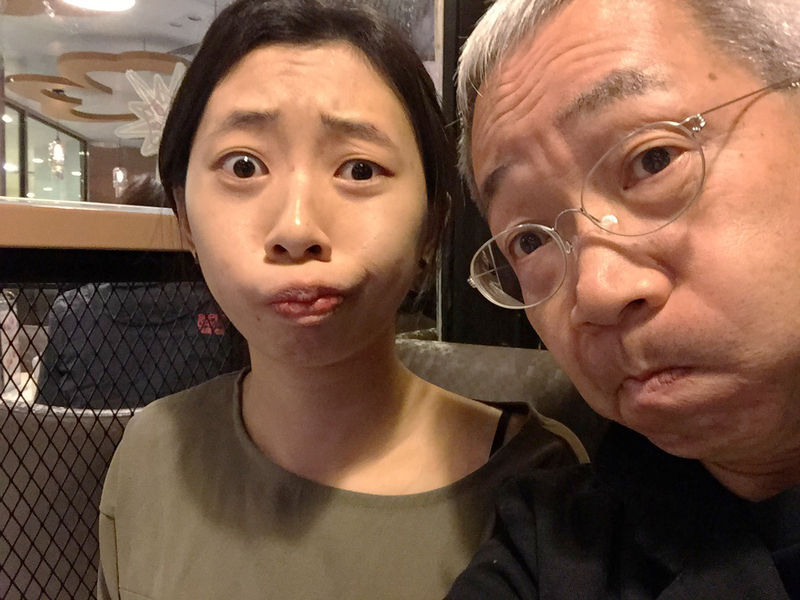 I will tell to the student don’t look like this. They should be look at the details much carefully. For light and design, even for the architectural lighting designer, they also need some space for having the sense of freedom and being artistic. Blanche：Thank you so much for taking your time to share your experience.